A Wounded Deer Leaps Highest takes its title from an Emily Dickinson poem, which parallels my personal feelings of being swallowed up by thoughts of mortality, existential life questions, and a deep sadness after my parents’ death. Although the wounds still remain, with the passage of time I’ve learned to lean into the light with love, embracing my vulnerabilities and the cyclical nature of life. 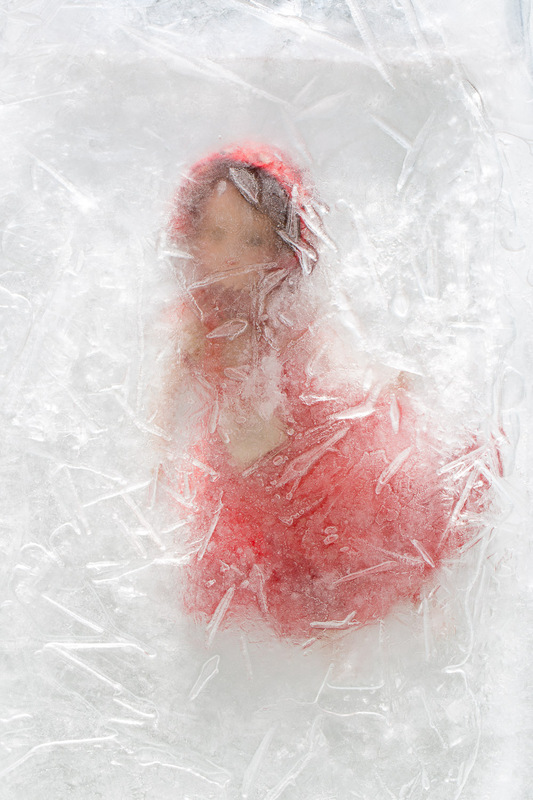 This series illustrates a journey of the human condition and a universally shared experience of loss using ice as a metaphor for life’s hardships. To create these allegorical portraits, I used dolls that were in some state of fragility. 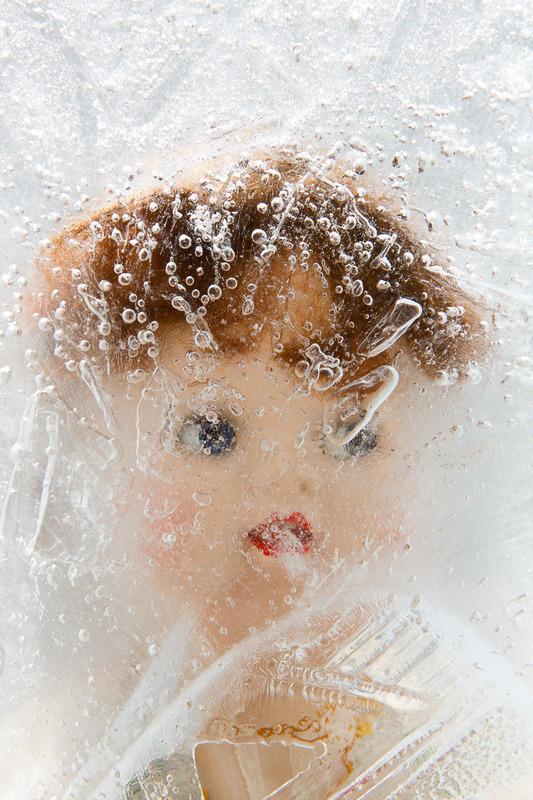 I submerged the dolls in water and froze them, pushing them to a breaking point, which reflected my own inner landscape. Some of the dolls disintegrated in the ice, but the ones that remained intact became symbols of resilience and hope. The project allows me to consider what is revealed and what remains after the trauma of losing those closest to you.